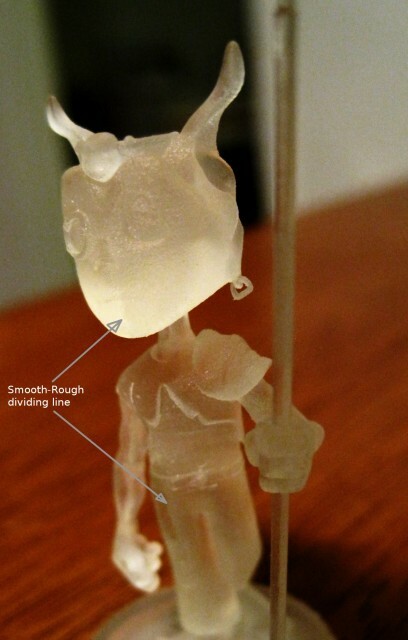 You can see the left side of the model is "smooth" and the right side is "rough". I've drawn a leader to the dividing line. I suspect it has something to do with the support material. Not sure how paint is going to react to the surface issues. Hopefully it will cover it up.